The Winix NK105 attracted me with its 4-stage filtration system, which includes PlasmaWave technology. It provides 360° air circulation. This is one of the latest Winix models, which is equipped with a convenient Wi-Fi operation. The manufacturer claims that the air purifier can service the area up to 320 square feet, which is sufficient for a medium-size bedroom. It has a variety of smart options and a very attractive design. It also comes with a convenient night mode suitable for light sleepers. Let’s take a closer look at this unit to find out if it’s worth your attention. This air purifier comes with a powerful four-stage filtration system, which requires extensive exploration. The best part about the first three stages is that they are all combined in one filter. Mesh pre-filter – This part of the 3-in-1 filter is designed to catch large particles to make the job of other filters easier. It deals with hair, large dust pieces, and pet fur. TrueHEPA filter – This filter catches 99.97% of all airborne contaminants 0.3 microns in size. It can help you get rid of pollen, mold spores, pet dander, dust mites, and more. HEPA filters are considered to be the most efficient air cleaning tools. TrueHEPA is a standard HEPA filter featured in the majority of air purifiers. CD Carbon Filter – This filter deals with odors, VOCs, and airborne chemicals. It’s especially useful if you have smokers in the household or deal with pet odors on a regular basis. It also does a good job eliminating cooking odors so the air purifier can be a good choice for your kitchen. PlasmaWave – This is an optional filtration tool, which you can turn on and off whenever you please. This technology works by breaking down allergens, VOCs, and other indoor pollutants. It doesn’t produce any harmful emissions. However, since some people associate ionizers with ozone, you have an option of turning the filter off. This part of the air purifier may produce buzzing sounds while dealing with the contaminants. So I would recommend turning it off during the night. Filter maintenance isn’t complicated. If you use the purifier on a daily basis, you shouldn’t forget to clean the outside part of the filter every two weeks. By doing this, you can extend the lifespan of the 3-in-1 filter. The combination filter should be replaced at least once in 12 months. However, I wouldn’t recommend waiting this long. HEPA filters should be replaced at least one in 9 months. If you are using the air purifier for more than half a day at a time, the filter should be replaced every half a year. The unit is equipped with a filter replacement indicator. However, it’s set to light up every 12 months regardless of the filter condition. The cost of a replacement filter is about $70, which is rather high if you need to change it twice a year. 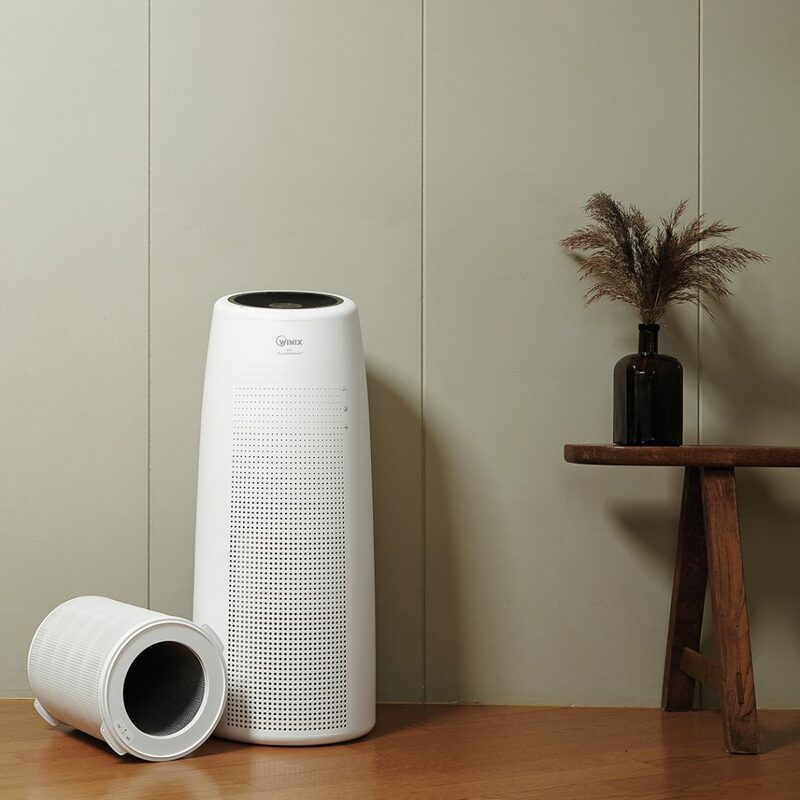 The design of this air purifier is superb. A white tower can look good in any room. The modern appearance make Winix models very attractive to such purifier design experts as myself. It has several buttons on top as well as the air quality indicator, which glows in different colors depending on the contamination levels. Since most of the control can be done via an app, the panel on the purifier itself is straightforward. The unit isn’t small. It weighs 17 pounds. The parameters are 12.2 x 12.2 x 29.5 inches. The model is equipped with a handle to make moving the unit around easier. You need to make sure the purifier is not obstructed by furniture or walls in order to provide easy 360° air circulation. Even though you may see some photos, where the unit is standing in the corner, don’t follow suit or you’ll end up with a reduced function. The air purifier is designed in such a way that maintenance is very easy. Filter replacement takes under a minute. Any cleaning or dusting is also simplified due to the unit’s shape. I appreciate the outstanding job Winix did with the design of this model. Smart options are my favorite part of any air purifier, and this one has a couple that makes me really happy. 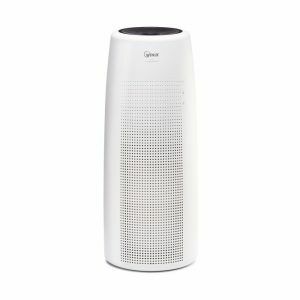 The air purifier can be connected to your smartphone via an app as long as there is Wi-Fi connection available. This allows you to monitor the air quality no matter how close or far away from home you are. You can also change the purifier setting without manually pressing any buttons. The app connection may seem complicated to a newbie, but there are detailed instructions on the Internet. The air purifier has a sensor, which rates the air quality. If you choose the auto mode, you allow the purifier to sense the air quality and adjust the fan speed accordingly. This is a great option since it’s hard for anyone to evaluate the air quality without special tools. You can also take advantage of the auto-mode when you leave home. Bright LED lights on air purifiers often become the reason why light sleepers say no to high-quality models. This one is equipped with a sensor, which adjusts the brightness of the LED light according to the light around it. So when the room is dark, the light will dim. If you want to keep your children from changing the air purifier settings by manually pressing the buttons, you can take advantage of the child lock mode. When you activate the sleep mode, the LED light is fully disabled and the fan goes down to the lowest setting, making the operation barely audible. This is always a highly important matter to me because manufacturers often declare a bigger area than the air purifier can handle. This one is supposed to service a room up to 320 square feet. Let’s take a look at CADR ratings and calculate the real figures. By multiplying the CADR ratings by 1.5, we get 310.5 – 331.5 square feet. So we can see that the manufacturer is telling the truth, and the air purifier can show optimal performance in the room of about 320 square feet. It’s possible to use the model in a slightly larger room, however, the number of air changes per hour will be reduced. Meanwhile, you’d have to run the unit on high fan settings longer, increasing the energy use and filter’s wear and tear. This is a quiet air purifier. At the highest fan setting, it produces a noise similar to the quiet conversation at home. So you can easily take advantage of all the settings during the day. The lowest setting is fairly low as well. It shouldn’t disturb even the lightest sleepers. In fact, the noise level this air purifier produces at its highest fan setting is comparable to what some other purifiers produce at their lowest setting. So I can say that this model is truly quiet. 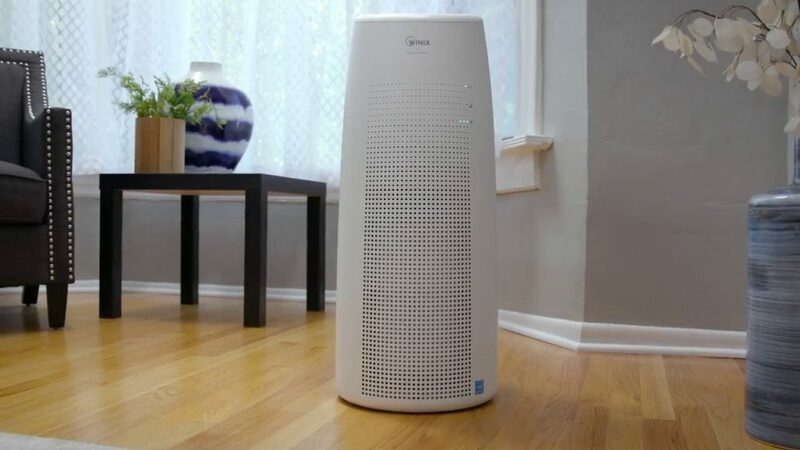 This air purifier is energy efficient and Energy Star certified. It can reduce your energy bill and help you support the environment. The energy consumption at the highest fan setting is 55W. This unit comes with a 2-year limited warranty. Some air purifier manufacturers offer 5-year warranties so 2 years is overly high. 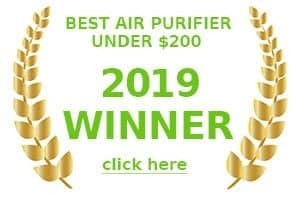 However, it means you can be sure that your air purifier will work without fail for at least a couple of years which is above average from what i’ve seen. Make sure you follow the instructions in the manual and take care of the unit properly. Otherwise, the warranty may be nullified. Please note that the warranty is only valid in the USA and Canada. By taking the unit out of the country, you are discarding the warranty. I’m very satisfied with this air purifier. Besides offering all the necessary features to make your home a cleaner place, it’s Wi-Fi enabled. You can easily operate the air purifier remotely while saving money on energy bills. The price tag is a bit high but it’s compensated by excellent performance and energy savings in the long run. I would gladly recommend this air purifier to anyone, who is looking for a high-tech model with a powerful filtration system. Well there we have it. Thanks for checking out our review of the winix NK105 Air Purifier. Great modern design for an air filter that gets a solid score. 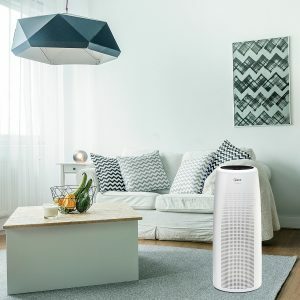 Whilst there are marginally better purifiers out there to service medium sized rooms, the Winix NK105 looks sleek and will suit any decor, however that luxury comes with a higher price tag than some models.